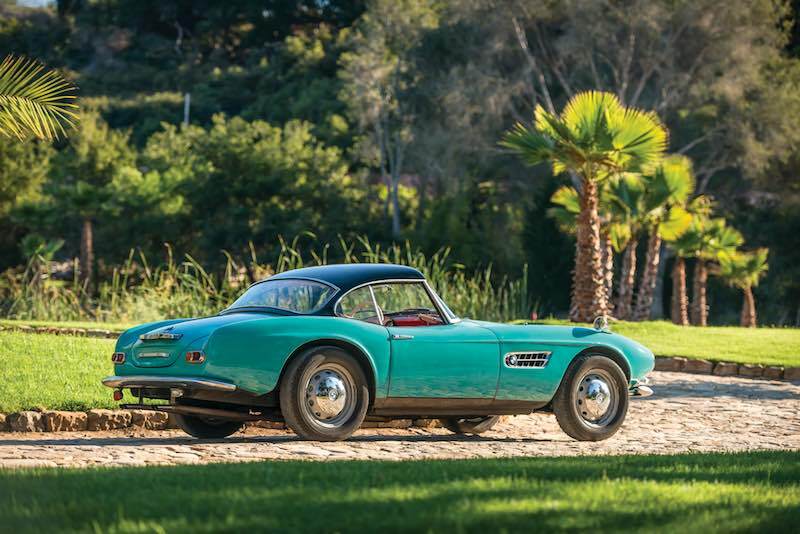 One of BMW’s most celebrated vehicles, the 507 has remained an icon of design for 60 years. Conceived by the legendary American sports car dealer Max Hoffman, the 507 was intended to be the manufacturer’s halo car, bringing a company then known for mundane sedans and microcars into competition with the likes of Porsche and Mercedes-Benz. 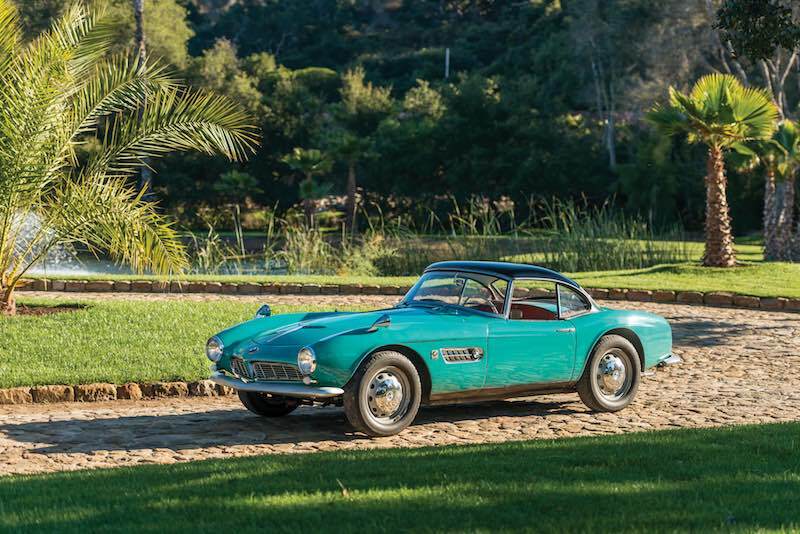 Sold new through Automag Buchner & Linse of Munich, Germany, chassis number 70044 is a rare first-series 507, produced in July of 1957. 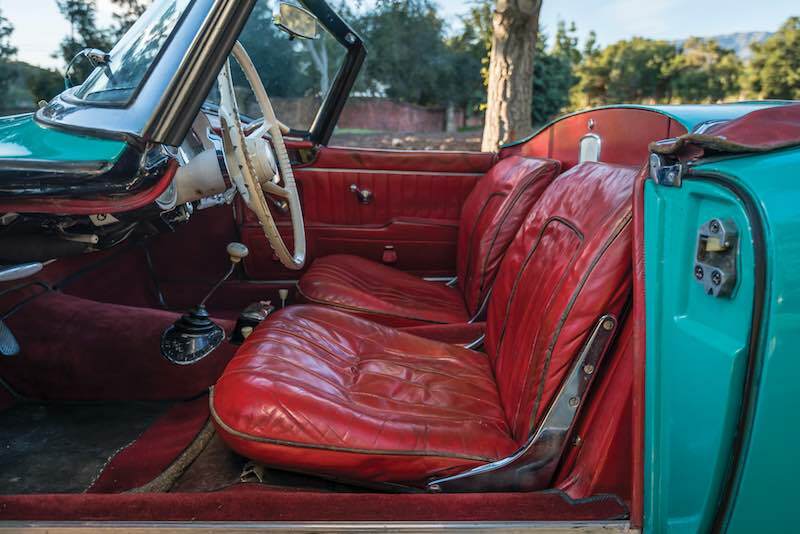 Originally finished in Papyros, a scarce shade of off-white with a red leather interior, it was equipped with whitewall tires, a hardtop, and a Becker Mexico radio with an automatic antenna. The car’s first owner would be Herbert Dinkheller, who worked for a tobacco company in Frankfurt and who acquired the car shortly after it was built. While the 507 was registered under the name of his company at first, ownership was later transferred to Dinkheller personally in November of that year. The car was purchased from Dinkheller by its second owner in April of 1958. The car’s third owner, Hermann Beilharz of Mötzingen, would be the car’s longest custodian. Beilharz was a successful amateur racer of Honda motorcycles and bought the 507 with what little funds he could scrape together, as his pride and joy. 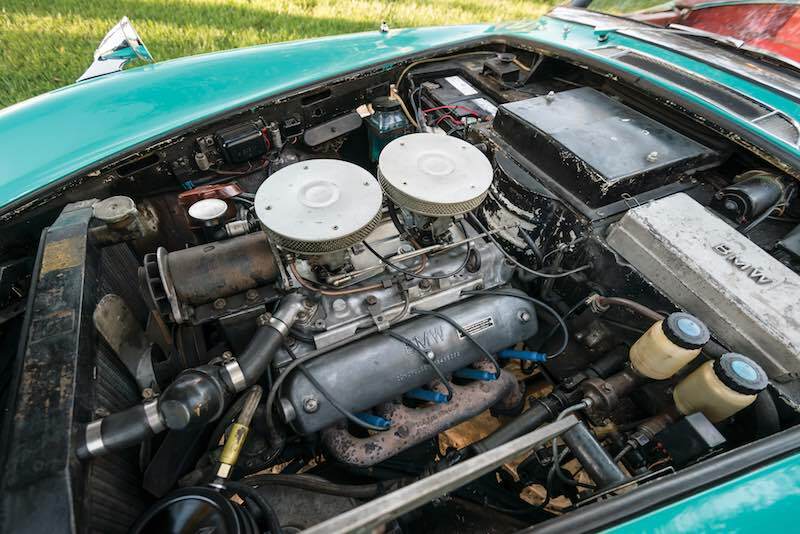 Throughout the course of his ownership spanning over five decades, he made sure it was always well maintained whilst being stored carefully and driven regularly during the summer months. 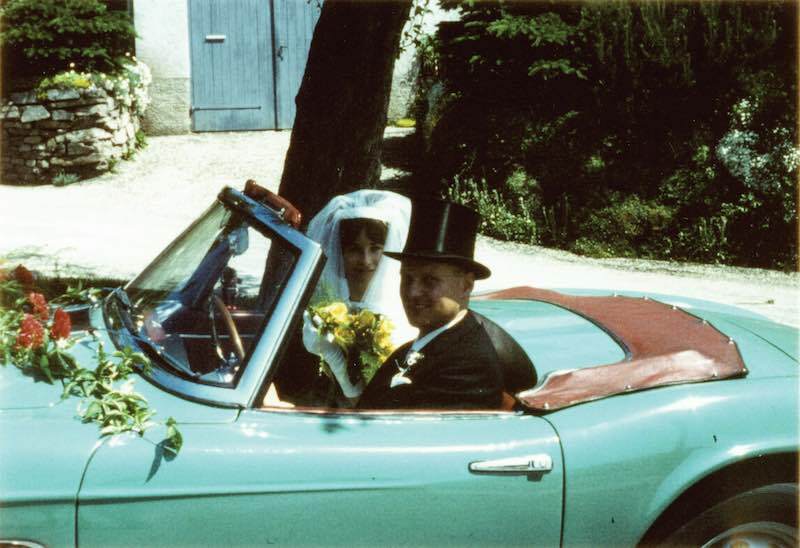 Photos are on file of the car from throughout Beilharz’s ownership, including some of him posed with the car on his wedding day. It was acquired by its current owner in 2014. 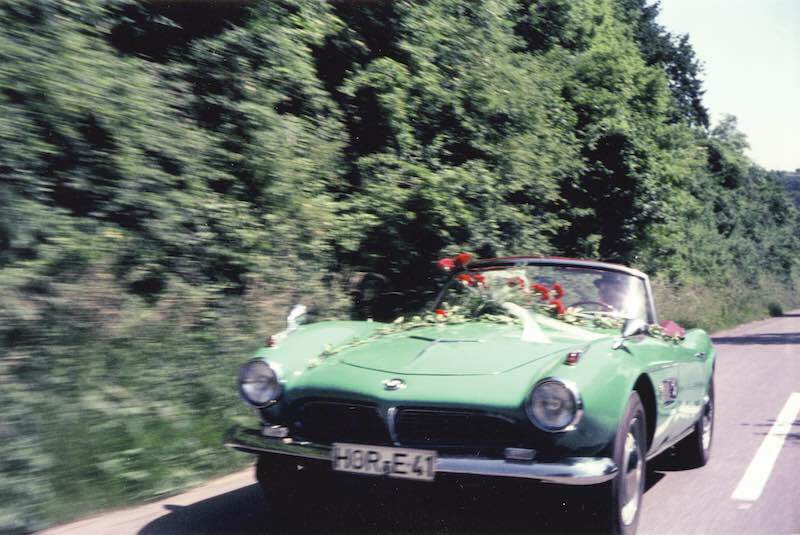 Herman Beliharz as seen in his 507 on his wedding day. 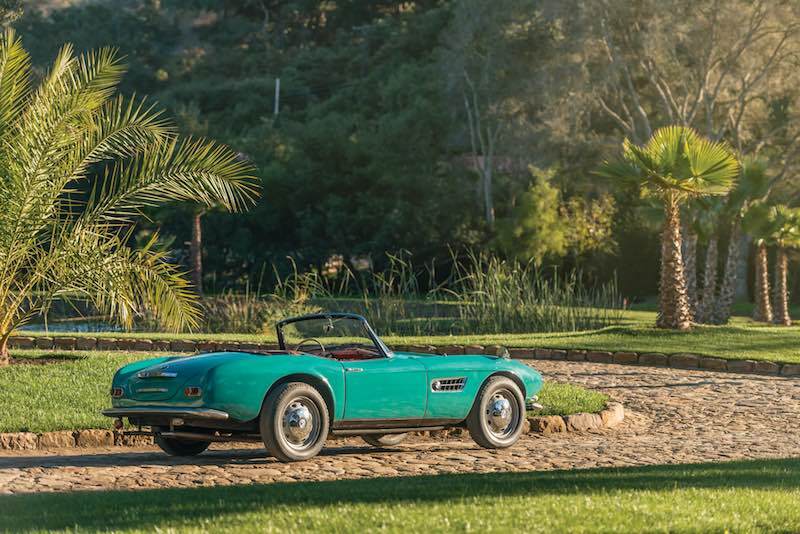 When the car was originally acquired by Beilharz, he refinished it in its current shade of sea green early in his ownership, contrasting with its black hardtop. 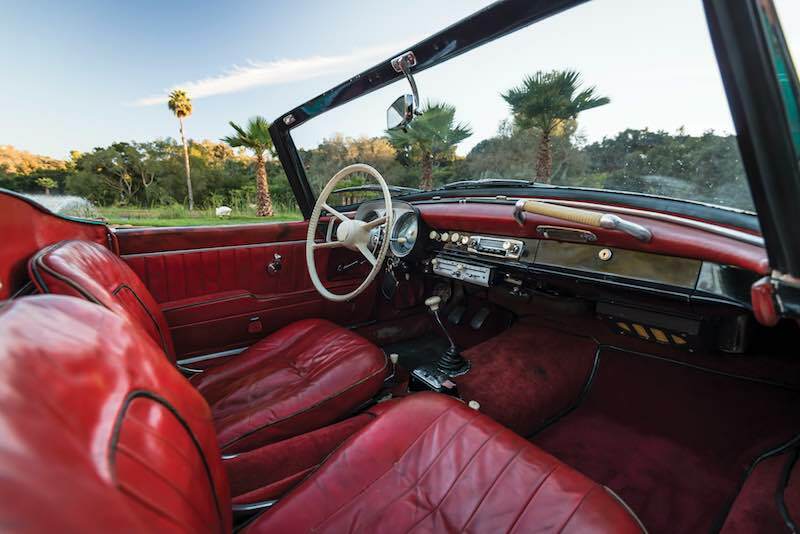 The original red leather interior shows the wear requisite for the 73,000 original kilometres on its odometer. Recently refitted with its proper front bumper and steel wheels, the car retains a set of colour-matched Rudge wheels, which will be included in the sale, along with a tool kit, owner’s manual, factory brochure, and certificate from BMW. While with its current owner, front disc brakes were installed to provide additional braking power; the original front brakes accompany the car. Furthermore, the car is still accompanied by its original German Fahrzeugbrief and a letter from Hermann Beilharz, which confirms its limited ownership history. 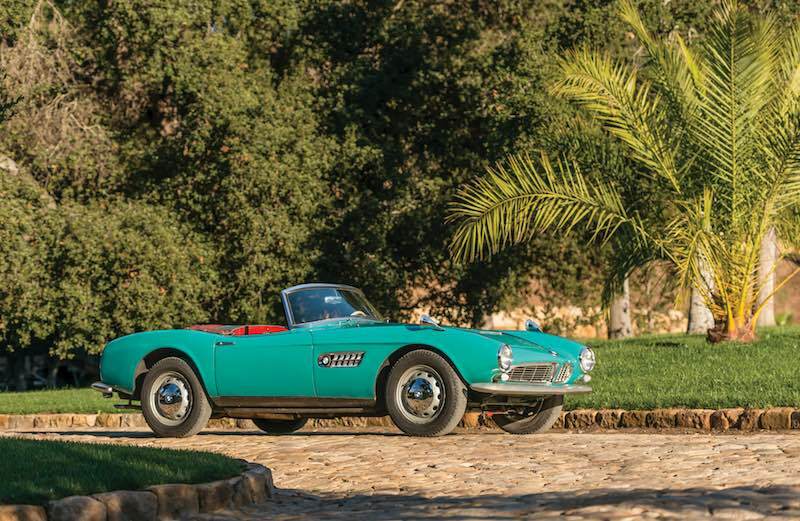 This 1957 BMW 507 Roadster Series I will be offered at the RM Sotheby’s Villa d’Este sale, scheduled for 27 May 2017 in Italy. It’s estimated to sell for €1.700.000 – €2.000.000.